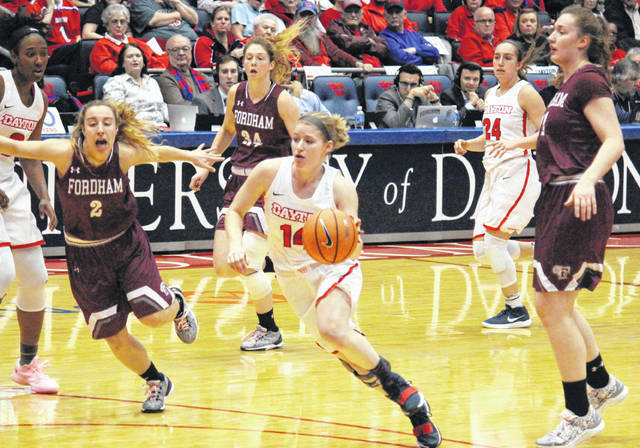 Jenna Burdette — a 2014 graduate of Eastern High School — was one of two Dayton Flyers to receive a nomination for the NCAA Woman of the Year. Burdette, who recently completed four years of basketball at UD, is joined by cross country and track and field athlete Grace McDonald. The award, currently in its 28th year, honors graduating women’s athletes and will be presented on Oct. 28, at a banquet in Indianapolis, Indiana.